Through My Eyes: Honeymoon: 8D7N at Bali and Lombok, Indonesia - Part One. Honeymoon: 8D7N at Bali and Lombok, Indonesia - Part One. on 26 September to 3 October 2016. I didn't even realize that I missed out on this honeymoon post until someone mentioned it. Oh goodness my brain. I did a short post on the first villa that we stayed at in Bali, so here goes. You can go read this one as appetizer first then come back to this, the main course. Dessert next time. I will try to remember as much details as I can on this trip that may or may not help you with your planning to Bali and Lombok. I will include the price as well for those that we remembered and noted down okay. Our flight to Bali via KL was very early in the morning so when we were in the airport, we were still a bit blur. The excitement hasn't kicked in yet. Not until the huz got me breakfast. Hah. Mind you we did last minute packing and last minute change money all. The currency rate that I will use to show you the price is RM1 = 3000 IDR okay. Also, part two and part three is up. We had about 3 hours or so before our connecting flight to Denpasar, Bali so we decided to eat again at KLIA 2. 3 hours seemed like a sufficient time to enjoy a good breakfast but nope. Flying with Airasia means you have to check out your luggage and check-in again for the next flight. I hate this the most, so the very mahuan please. For your info, I hate flying with Airasia and not because I atas or what. I just don't flying with Airasia but I do so very much like their new office! I want to work there can? I married a very cost-saving dude so we decided to have an agreement. For travel that is not more than 3-4 hours, we will take Airasia. Anything more than that, we will not take Airasia. Anything but low cost carrier. Hah. Looks like we will be visiting a lot of Asian countries for the next few years to come if he were to plan the holidays. Heh. Upon arrival, he was quick to search for the Tourist Information Booth and grab as many brochures his eyes could see and his hands could reach. The syiokness kicked in liau by then. I loved it when he so kan-cheong (panicky) like that because he was supposed to plan all the itineraries when in Bali and Lombok and if you know him, he is one that likes last minute spontaneous thing. I on the other hand prefers thing that's been planned out already. Got to get use to this I guess. Anyways, we got to the arrival hall and after scanning through what seemed like a hundred flash cards, we could not find our name. My name, elek. His name also elek. So, I panicked because I remembered at the back of my head that I've emailed to ask for airport transfer to the hotel and The Light Exclusive Villas & Spa replied with a confirmed arrangement and it was complimentary for us for staying with them more than 3 nights! When we could not find the driver, I thought that maybe that email was for another hotel at Gili. I could not remember very clearly and no internet some more. The Tourist Information Counter made a few announcements but no one came to us. Oh I did have a hard copy of the email so I was right la. Of course our driver came in the end, but because of some communication error, he needed to fetch another couple/family who will be arriving soon. So, he called for a cab and the hotel paid for the ride. We checked in and got freshen up, then headed out to the street to look for more food that is local. The street that our hotel is located at is very quiet if I may say. It is a walking distance to the happening area but that's like 10 minutes walk or so. So, if you are looking to stay at a more happening area where you can easily find food once you step outside your hotel, The Exclusive Villas and Spa is not for you. We walked around the area to get a sim card with data because he had planned to do self-drive for one day or something like that. That and he needed to 'work' sort of. It was late evening by the time we settled with the late lunch and the sim card so we got back to our villa to rest before heading to another area. The sim card we got was 4GB at 120,000 IDR each (RM40). We only got 1 because we thought can do data-sharing but it didn't work. RM40 quite worth it I feel because we can use for a month I think. Don't get it at the airport (we almost did) because they were selling it at RM100 (for higher GB) but 4GB is more than enough. We took a metered taxi to the other side (which I cannot remember what it's called anymore) and it was only about 12,000 IDR (RM4 for 2 persons). Very cheap because it's quite nearby only. Our first stop was to the Potato Head Beach Club because it was highly recommended a must go! We wanted to place a dinner reservation so decided to take a look at the area and it was pretttty. It say Club but it isn't really a club. It's a restaurant that has the best pool and best beach view, especially during sunset. A very expensive place it is. We asked a local on what should we eat that is local and good, and she mentioned Biku, so we decided to find Biku and eat at Biku. The restaurant looked posh from the outside but the huz was like, "Eat whatever you want, baby. After honeymoon no more liau haha". We spent 356,000 IDR (RM120) for 2 and it was a very satisfying dinner. He loved it so much that he suggested it every night when we were at Bali. It was really good. It's a bit like a fusion kind of dining between Indonesia and Western so it's pretty unique. Biku Restaurant at Seminyak - Highly recommended! You can go there for breakfast and lunch as well. Then, we went for a local full body oil massage nearby the restaurant at 119,000 IDR (RM65) for 2 adults. SOOOOO GOOD! That night's sleep was so amazing that we decided to go for 1-hour massage every night and that's exactly what we did. Budget for massage was increased obviously. Hah. Great sleep means great day onwards! Heh. We woke up pretty early and had our 'free' breakfast in the hotel. Today we decided to rent a car with a driver for 8 hours and have him take us to anywhere we want to go in Bali. The moment the car started moving, I was falling asleep already. Maybe I ate too much. He on the other hand talked to our Supir (driver in Indonesia language) the entire time to make sure that the driver was not getting sleepy. That and he was just feeling super friendly-ish that day. At the end of our 8 hours, Adrian knew about his entire family history and previous jobs also I think. Hah. At one point, he even lets huz drive because Koay asked if he could. Another checklist ticked for him for always wanting to drive in foreign countries. I slept, ate snacks, slept and eat some more. Remember Adrian grabbed as many brochures as he could find at the airport when we arrived? That came super handy because the packages were expensive and certain places in it do not interest us, so with a driver and a car, we made up our own itinerary and decide on our own how long we were going to stay at a spot. Super flexible and not costly. For a Avanza-like car and a driver service for 8 hours (actually 10 hours because he extended for us for free), we paid 500,000 IDR (RM167). So, if you go with friends, you can just divide among yourselves. Very affordable! Our first stop was at The Barong & Kris Dance. Entrance fee per person is 100,000 IDR (RM35). The one thing that I really don't like about this "tourist-must-see" is that the whole drama/dance (no dance pun) was narrated in their local Indonesian language. Even those who understands Bahasa like us, also find it super impossible to understand. Maybe that's why they gave each tourist a piece of summary paper of the story. We guessed the entire drama to the plot written on the paper. Bleh. It was so blehh for me that I can some more take the time to admire this xhundredfold bag and take lots of 'artistic' shots okay. I love this bag because it's very minimal and light. All I need to do is throw all the things I need (and don't need) into it and ready to go. No need to compartmentalize the items all. Thank you xhundredfold for inventing this bag! They have a lot more products that are so "Pinterest-ish" so you may want to go check them out! Then, we went to some Batik Factory on the way but nothing much to see. If you have never seen how batik is made, then you must do a quick stop here! The driver took us here so yeah. After that we went to Luwak Coffee Plantation at Seri Batu Village. I thought it was just going to be a quick typical-see-how-coffee-is-made-tour, but I was wrong. It was very 'educational-hands-on' kind of tour inside, with no entrance fee needed. The man that brought us around spoke really good English so we had fun talking with him, asking him questions about the Luwak coffee. He took us around the place and sat us down. He then explained to us that he will be bringing 14 drinks that includes coffee, tea and cocoa for us to try with no extra charge. If we want to try the Luwak coffee then we have to pay 50,000 IDR (RM17) for a cup and we obviously did. From normal milk coffee to durian coffee and mangosteen tea, by the end of the drinks-tasting, I was too awake with all the caffeine in my system. We walked around the shop and only bought a packet of banana chips because he kept eating the ones that was given. Don't know if he was on a coffee tour or a banana chips tour. Then, we headed to Kintamani to see the majestic volcano that is still active, Mt Batur and paid 65,000 IDR (RM22 for 2 persons) in the middle of the hill-route as the entrance fee. Apparently if you speak Bahasa and say you are a local, they will give you big discount. Our driver told her that we were locals but he went and translate the amount in English to us and he got scolded by the entrance fee lady. Hah. He forgot that we understood Bahasa too. He stopped at one of the restaurants with the HD view of Mt Batur. Now, do know that there are many restaurants that has the similar view and these restaurants are probably all serving buffet style lunches. The weather there is very cooling and it's like air-con all around, so it's very nice. We paid 297,000 IDR (RM100 for 2 persons) for the buffet lunch that serves local Indonesian cuisine, and found a spot/hut that overlooks the active volcano without anything blocking us, and don't have to be seated under the sun. If you ask me, Kintamani is a MUST-GO! Seeing Mt Batur in the photos just doesn't show the real thing. It's very magnificent okay. I loved the view so much that I would just sit there and stare at it. You can also see the Caldera Lake on the left side of the mount. After spending some romantic time here and breathing in all the fresh air we could, it was time to head to our next location - Tegalalang to see rice terraces. It was a very sunny day so everything was pleasant. Sweaty armpits yes but perfect for a travelling day. Nothing much to see at Tegalalang to be honest, but so many things to buy there! I don't know if its cheaper there since it's a hot tourist spot, but we were offered pretty good price when we asked and spoke in Bahasa. So, that could be a thing to get bigger discount. We stopped at Tegalalang for a short while only and then headed straight to the famous hidden waterfall - Tegenungan Waterfall. This one also got entrance fee. Almost all the tourist spots in Bali requires entrance fee and it varies independently on the collector. It almost seemed like there is no standard price. So speak Malay and get bigger discounts. If you act like a tourist, then your pocket gone case. Hidden waterfall not very hidden afterall. We had to walk down a distance so imagine my face when we finished swimming and we had to walk back up the same route. Straight pucat gila. From a distance, it looked empty but when you go nearer, the place is tourists-filled. However, they managed to keep the place clean. Yes, be a responsible traveler wherever you go please. There were a lot of people but it was not over-crowded because once you're done with swimming, you will dry yourself up, change and start walking up already. There is no solid place for you to do picnic and all unless you don't mind sitting on wet pebbles/rocks. After whole day of touring around this part of Bali, we decided to head home. Our 8 hours drive with the car and supir was also up so time to get some rest and soak in the bathtub. We decided to head over to the street where Potato Head Beach Club is at and find food there. We didn't walk the entire street although so happening because we were already so tired. All we wanted was eat and go for massage, which is exactly what we did that night! We stopped at Warung Bonita because we thought that the place looked romantic with the orange-y lights all litted up under the trees. From the moment we placed our orders till we pay the bills, we hated the service. He hated the service that was given, as though we owed them money. The waiter was plainly rude and ignorant. In the beginning, we thought that maybe the food here was going to make it up for its bad services. Manatau, their food is worse! My spaghetti was cooked in salt only I think. The tomato paste I also can make and they most probably also just tossed a bunch of salt in there. IT WAS SO SALTY MY KIDNEYS WERE CRYING OUT LOUD. His dish was equally bad, served cold and tasteless. We paid 300,000 IDR (RM100). Never again to Warung Bonita. This is a lesson for all to learn that never never judge a book restaurant by its cover set-up. Rise and shine newlyweds! I slept in longer while he woke up earlier to receive our rented car for the next few days! This time, no supir. He didn't want to follow a tour package that only does a one-day trip to Lovina Beach to see dolphins so he chose to rent this car for 48 hours at only 450,000 IDR (RM150 for a fine looking Avanza). We wanted something smaller but all fully-booked so this will do. 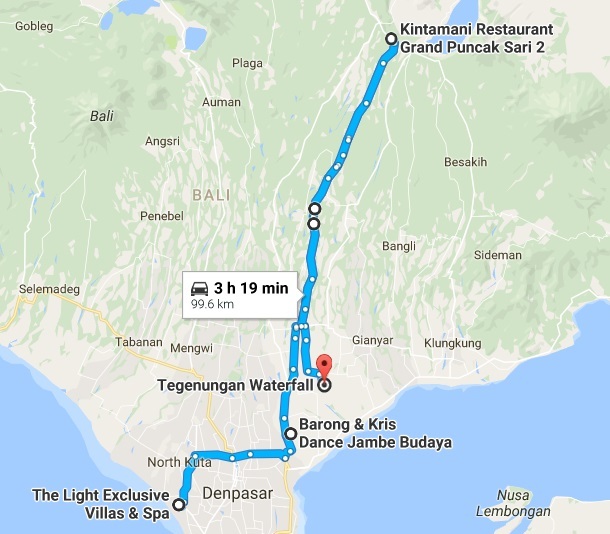 Google mapped all the way to Lovina Beach because it's about 4 hours drive and we didn't want to rush it, so we decided to also tour around before heading to Lovina Beach and spend a night there. Petrol full tank for this Avanza was about 250,000 IDR (RM84). So off we go people. To be honest, I was very hesitant at first on the whole idea of self-drive because there's just too many cars in Indonesia and I don't feel safe on their roads here. He however, was like a small kid receiving a surprise gift when we decided that we shall rent a car. 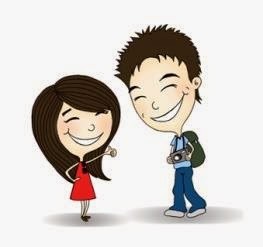 So happy husband means happier wife. Rent a car we did. We had lunch at a random shop that sells nasi padang 44,000 IDR for 2 (about RM15). It was on the way to Uluwatu Temple. Entrance fee to Uluwatu Temple: 30,000 IDR per person (RM10). The scarf that we needed to wear around our waist was free, and I think you have to wear the scarf if you wear shorts. Then again, no one stopped us or told us what to do. We just decided to be all-touristy and grab one each to wear. For syiok purpose you know. It is said that its better to go to the Uluwatu Temple during sunset, but from what we experienced, I don't think there's a difference except the sky color. Heh. There is absolutely nothing to see here. Okay, maybe a few things, like the sea, the sky, waves crashing on the rocks below and functioning temples having prayers. Uluwatu Temple is super overrated and I would personally recommend you NOT TO GO! It's really a waste of time. But if you insist, then probably go in the evening so that you won't get sunburned for no reason. Some locals claimed that sometimes you may be able to see dolphins swimming in the ocean. This tourist-spot is really such a letdown. Maybe because people made it sound like it's a must go but the truth is what it is. After the first disappointment, we decided to drive to the original Naughty Nuri's shop at Ubud. Highly recommended by the sister and brother in law. The shop is very small in terms of space, but it has the originality sense if you know what I mean. I am not a big fan of pork ribs so we decided to order just 1 slab and another dish. I chose maggi sup because I was craving for it. It was tasteless. Hah. The pork ribs however, was finger licking good. I loved the sauce that coats the ribs. It was super delicious. Koay on the other hand thought it was pretty standard. I wouldn't know since I don't eat a lot of BBQ pork ribs. Ohh and we ordered pork chop too! Their food came as it is. There are no side dishes whatsoever. You order pork ribs, you get only pork ribs. We continued driving when huz spotted a roadside bakso 20,000 IDR (RM6.50) and pulled the hand-brake. One thing about both of us is that we love trying roadside food stuffs and as 'dangerous' as it is to risk getting food poisoning, we will still do it. We want to have what locals have on usual routine days. The drive continues, heading towards Lovina Beach (north of Bali). It started to rain but we were okay. We had so much time talking about nonsense again, with me occasionally falling asleep. We stopped here and there when we sees a photo opportunity with the amazing landscape but who we kidding, Our photography skill damn fail please. Heh. We also stopped by at a few waterfall places like Gitgit Twin Waterfall only to find that it's either no water or no one is swimming which is a little freaky or they don't seem safe. So we stopped and looked only. Many hours later, we arrived at Hotel Suma where we booked on Expedia on our first night of honeymoon in Bali. A night here costs us about RM150 I think. I cannot remember this one. We booked a standard room on Expedia and they gave us a room with fan only. We told them that it's unfair for us because it was not written online that the room we booked has no air-con. So we decided to upgrade the room and pay the differences according to Expedia. For a one-night stay in Lovina Beach, I would highly recommend Hotel Suma. It is located right in front of the beach where most boats will take off from and that means no need to drive, find parking all or take local taxi. After taking a long shower, we went out and hunt for them locals to book for our dolphin tour. You can go through the hotel but it was more expensive so we went out and walked around. Nothing much to see. The local man offered Koay a private boat but I thought that joining with others would still be the same and if we can save money, why not. He thought about it and decided to charter the entire boat for ourselves because we were on our honeymoon. Sweet sial. If not mistaken, if you join with others on the same boat, it's about RM30 per person. Our private boat and boatman only costs us 300,000 IDR (RM100 for 2 persons). No wonder it was not painful in the pocket for him to take the entire boat. Hah. After paying half for the dolphin tour, we went for dinner at the most romantic restaurant (with no aircon). I say most romantic because all the restaurants seemed the same actually but the one we chose was located at the beach itself so yeah. And all their restaurants have no aircon. Of course we had to go for a round of full body massage before we sleep. When in Indonesia, go for full body Balinese massage. It's the best.